LucidWorks addresses the growing volume of information now being stored in the enterprise and in big data with two products aimed at the enterprise with search technology. Though you may not be familiar with LucidWorks (previously known as Lucid Imagination), the company has for many years contributed to Apache Lucene, an open source search project, and commercialized and supported for it for business. Search is a necessary enterprise application, but it is often not deployed successfully, for many reasons, some to do with the lack of focus and priority by IT and in some cases because a given application is not designed to work well across an organization. Our technology innovation benchmark research finds that search is a critical capability for 38 percent of organizations, and was a top-five capability for business intelligence, ranked as very important in 29 percent of organizations in our next-generation business intelligence research. But few of today’s solutions in BI and business analytics have well-integrated search capabilities that can work against the analytics, let alone with a broader set of information sources. 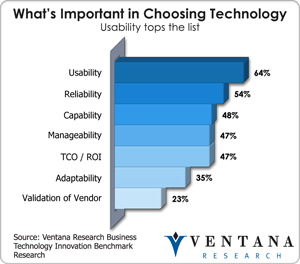 Inadequate search capabilities hurt applications’ usability, and our latest research finds that usability is the top technology consideration in 64 percent of organizations. LucidWorks has two product offerings in the search market. LucidWorks Search provides the ability to rapidly set up search and index content using Apache Solr. The company not only provides full commercial-grade support and services and a security framework, but has also improved on Solr’s usability for developers and business users. Solr, built on top of Lucene, is an enterprise platform that provides full-text search, dynamic clustering, geospatial search and other enterprise-class capabilities. Second, LucidWorks Big Data, which was released late last year, uses the compute and storage capabilities of Hadoop to support larger-scale deployments. LucidWorks also announced more formalized integration with MapR to support it from within its software. LucidWorks has built a big data framework to take advantage of key Apache technologies such as HBase for storage and access, Kafka for distributed publish and subscribe, Mahout for scalable machine learning, Pig for Map-Reduce scripting and ZooKeeper for distributed coordination. Using Hadoop technologies to support big data search could be the tipping point that brings enterprise and Internet-class search to every organization. LucidWorks provides its products via either on-premises or cloud computing deployment. LucidWorks has embraced cloud computing through Amazon Elastic Compute Cloud (EC2) and Microsoft Windows Azure, making it simple to integrate LucidWorks with existing approaches. As big data deployments evolve, our technology innovation research finds that 43 percent of organizations prefer big data on-premises, while 26 percent prefer it via cloud computing and 19 percent have no preference. Providing choices for organizations is essential to meeting the broadest range of needs. 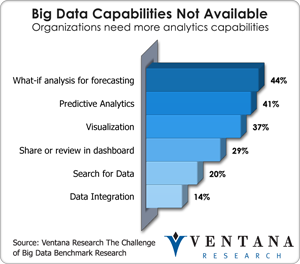 Our big data research found searching for data is one of the top big data capabilities not available today in 20 percent of organizations and is needed. In addition, our research found the need for search on mobile technology to be important in 29 percent of organizations, so demonstrations of how LucidWorks can operate across smartphones and tablets will be essential. According to our research, the market potential for providing search to business is quite high. Business understands the value of time and needs to get information. Unfortunately, the market for enterprise search software has been hampered by lack of interest from IT, and on the part of analyst firms that follow the IT industry but do not measure the needs of business. Historically, search has been relegated to IT systems and not seen as software to help business be more productive. As organizations begin to build a new generation of applications to leverage big data they should not forget that search is a required component to get to information not only from within an application but also from any related information beyond it. LucidWorks has priced its offering to be affordable for any midsize to large organization and made it easy to set up through its cloud computing offering. Keeping it simple to set up is important, as lack of resources is the highest barrier for use of innovative technology in 51 percent of organizations. 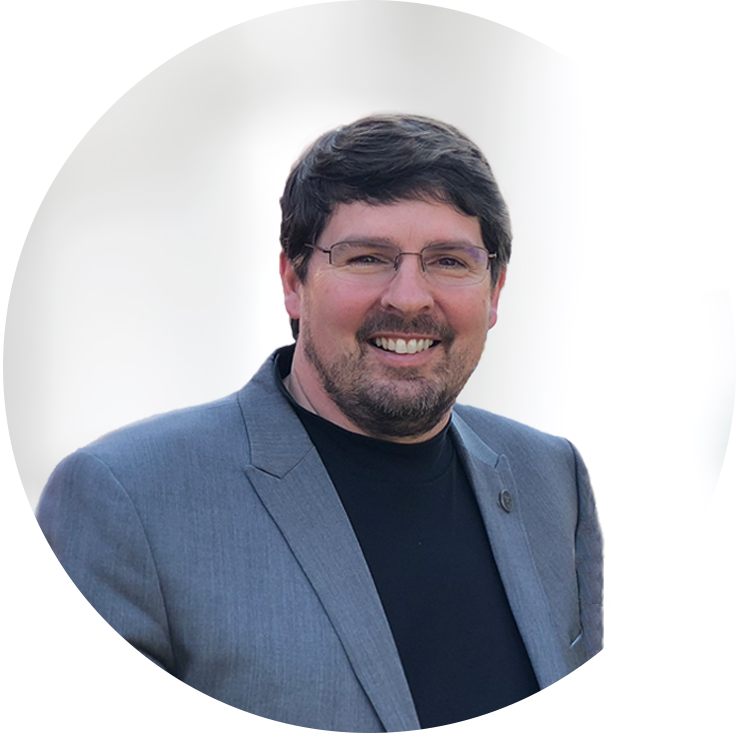 Last year LucidWorks added a new CEO, Paul Doscher, a veteran in the enterprise software and search technology industry, to join its chief technology officer and founder, Grant Ingersoll. Going forward I expect to see LucidWorks search results further integrated into business applications and even business analytics. I hope that the company expands its big data offering beyond just Hadoop. LucidWorks should also get more of its customers to promote the software by talking about their deployments. I will be further researching the need for search as part of our big data and information optimization research in 2013. LucidWorks is definitely a vendor to examine if you are looking to bring enterprise-class search to your organization and big data deployments.